Japan's Toho Studio reboots its famous monster. Shin Godzilla is very Japanese in paying tribute to science and ingenuity. Think The Martian, but with the core problem of saving a stranded botanist replaced with the mammoth task of destroying a giant lizard impervious to conventional weapons. Following its attack on the US in the 2014 Hollywood production, Japan's most iconic monster returns home in Shin Godzilla (aka Godzilla: Resurgence), back to Japan, and back to Toho Studios. For their 29th Godzilla (or 'Gojira' as the Japanese know the creature) production, Toho hits the reset button, delivering an origin story that will kick start a new series for a new generation of monster kids. Godzilla first appeared in director Ishiro Honda's 1954 Gojira (later recut with added English language scenes for a western audience as Godzilla: King of the Monsters). That movie drew heavily on the still recent memory of the nuclear bombings of Hiroshima and Nagasaki; shot in monochrome, it features scenes of destruction that could double for newsreel footage of the 1945 attacks. Similarly, Shin Godzilla evokes a recent Japanese catastrophe, with the monster emerging from the ocean in scenes that immediately recall the tsunami that wreaked havoc on the nation in 2011. Hideaki Anno and Shinji Higuchi waste no time in introducing their titular terror - it's a mere 12 minutes before we get a full glimpse of the big guy, and initially it's laughable, resembling a giant Pokemon character with its giant eyes and idiotic expression. This is because we're seeing an infant Godzilla; 10 minutes later it has evolved into the giant, intimidating menace we're more familiar with. The traditional man in a suit makes way for CG, the budget for which seems to have been largely spent on the monster itself, which looks just as good as the version seen in the colossal budget recent Hollywood version - elsewhere, the effects are mostly on the level of a Sharknado movie. If you're one of those many viewers who complained about the lack of the title monster in Gareth Edward's movie, you should probably steer clear of Shin Godzilla. 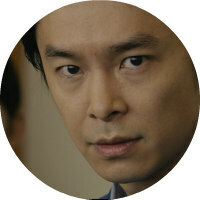 The big guy is present for roughly 10% of the movie, with the rest of the drama largely taking place in the offices and board rooms of Japan's government. Shin Godzilla is as much a political drama as a monster movie. For much of the film, the creature stands inanimate in the middle of a suburb of Tokyo, having exhausted his resources and now forced to recharge his energy, a process that gives the authorities a two week time line to come with a solution to this most unforeseen of menaces. As seems to be the case with so many nations, nationalist sentiment has been rising in Japan lately, largely revolving around the continued military emasculation of the country by the United Nations (and given the double standard of how Japan has been treated since the war as compared to Germany and Italy, you can understand the frustration). Shin Godzilla draws heavily on this, with Japan forced to rely on the US for aid in dealing with the situation due to their own lack of military resources. "Post-war seems to last forever for Japan," one government official sighs. There's a heavy dash of anti-American sentiment at play here, with Uncle Sam portrayed as a violent force willing to destroy Japan to save its own neck. More so than Godzilla, the film's main antagonist is the unseen US government, which plans to drop a nuke on the monster, an act that will destroy much of Tokyo, if the Japanese fail to neutralise the threat themselves before the creature awakens from his two week slumber. Determined to avoid a third nuclear strike from that superpower across the Pacific, a rag-tag group of scientists attempts to find a way of taking down Godzilla without turning Asia's largest city into a radiated wasteland. Shin Godzilla is very Japanese in paying tribute to science and ingenuity. The heroes of this movie are bespectacled intellectuals rather than military musclemen, and as a result much of the movie plays like an episode of The West Wing as highly skilled professionals race around the corridors of power using brain power to save their nation from the dual threat of nuclear annihilation and Godzilla stomping. Think The Martian, but with the core problem of saving a stranded botanist replaced with the mammoth task of destroying a giant lizard impervious to conventional weapons. By the movie's climax, the initially goofy looking Godzilla is no longer a laughing matter. 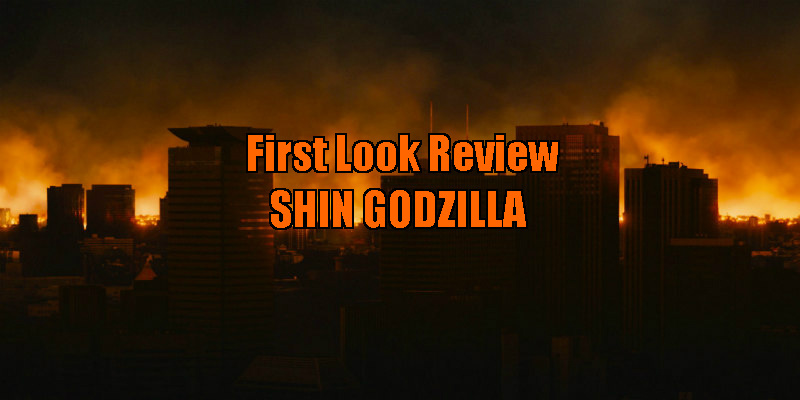 Like most reboots, Shin Godzilla plays a lot like a pilot, but it's a pilot for a series this writer is well onboard with, and if you like your sci-fi smart, you will be too. 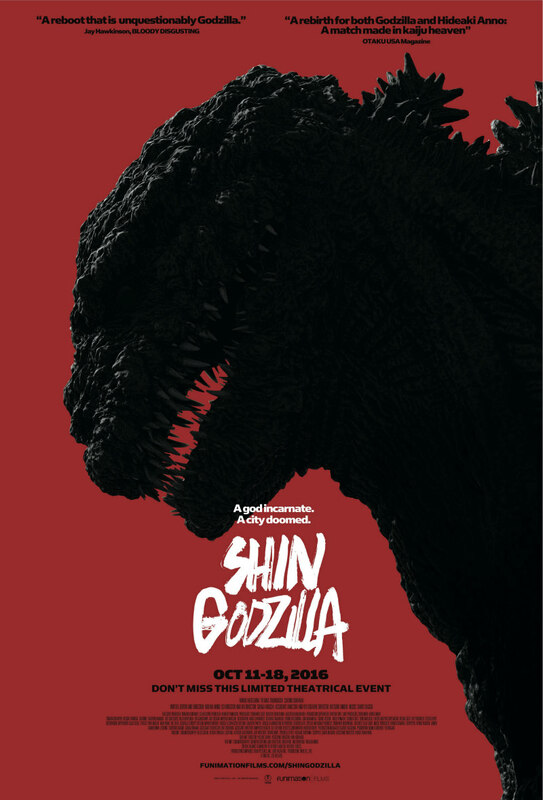 Shin Godzilla opens in the US and Canada October 11th. A UK/ROI release has yet to be announced.